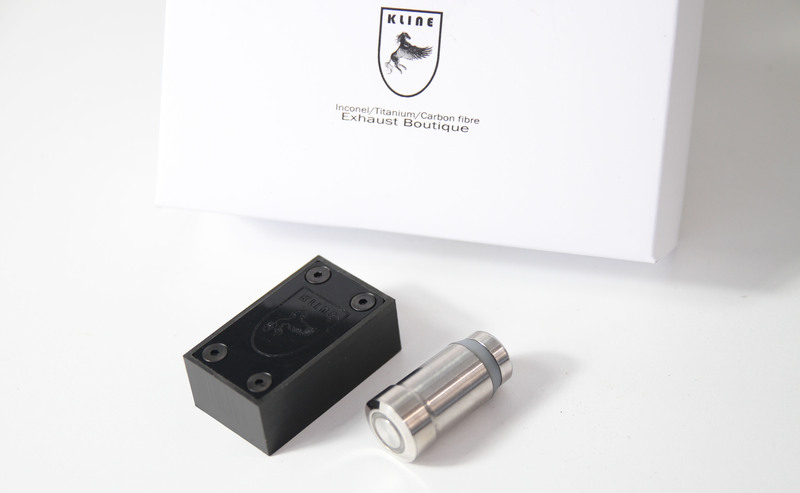 The Kline Inconel Button allows you to take full control of your valvetronic kline exhaust. Stylishly and elegantly designed, with an ethos of standing out, and being different from our competitors. We wanted to create something unique and beautiful, that would easily integrate into the car. Simply push the button to open the valves, push again to close the valves. The button itself pushes neatly into your cars ciggarette lighter, with a light click, and can be removed anytime just by pulling the button out of your ciggarette lighter. The radio reciever sits neatly in the engine bay, ready to receive wireless commands from the Inconel Button. Simply push the button for permanent valve open, second push is dynamic mode.